The owner of the company behind the chalky, colorful confections hasn't said if candy production will resume. REVERE, Mass. 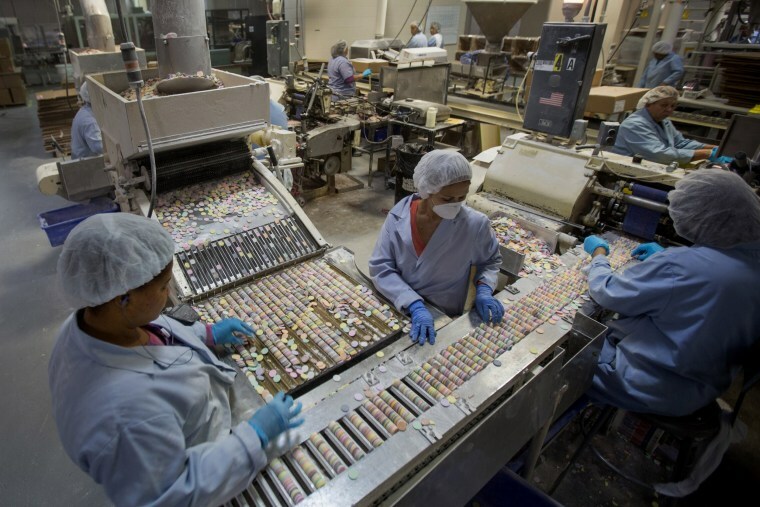 — The owner of the company behind chalky, colorful confections such as Necco Wafers and Sweethearts has unexpectedly shut down operations at its Massachusetts plant and hasn't said if candy production will resume. The Boston Globe reports Round Hill Investments LLC announced Tuesday it is selling Necco brands to another manufacturer and closing down its Revere plant. Round Hill did not identify Necco's new owner. The closure came as a shock to the close to 230 workers at the plant who say they were told to pick up their final paychecks Friday. Necco, or New England Confectionery Co., is the country's oldest continuously operating candy company. The also make Mary Jane and Squirrel Nut Zippers candy.